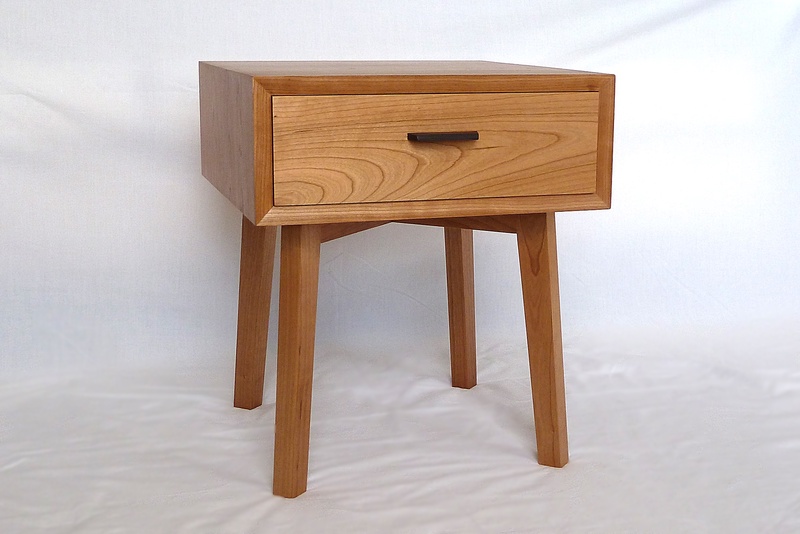 Made as a commission for a client who wanted two bedside tables made of solid wood. These are made from American Cherry with a mitred box design providing an attractive following grain pattern around the drawer box. 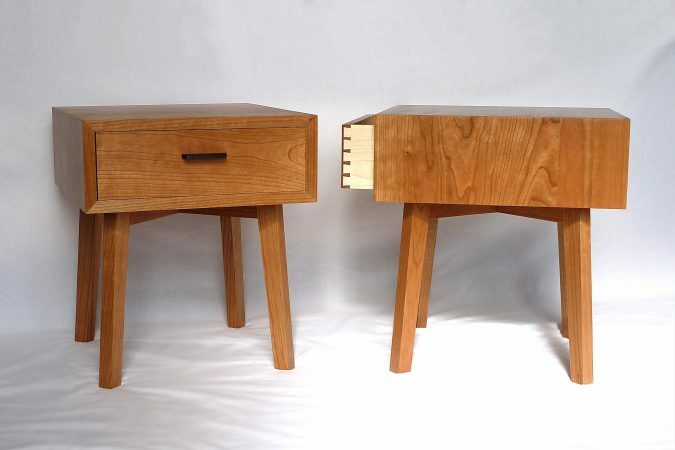 The drawers have cherry fronts with contrasting maple sides and back and a cherry base. 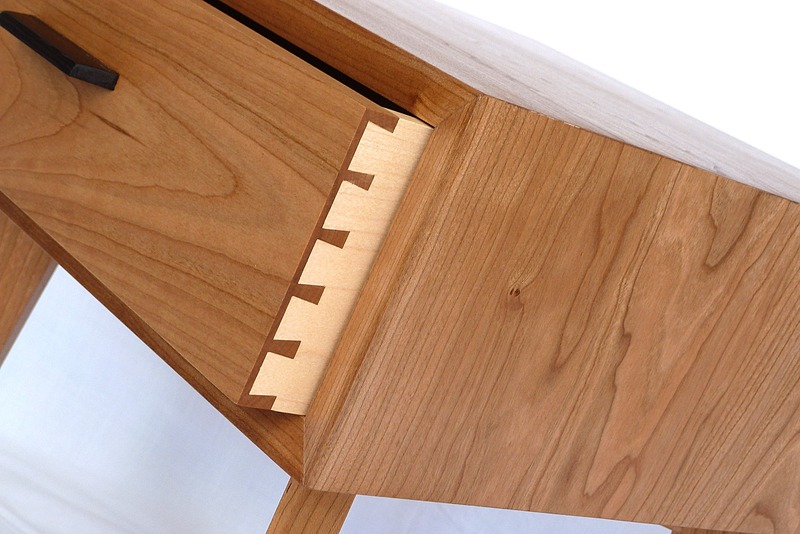 The drawers have been made with hand cut dovetailed joints on the front, which underlines the craftsmanship in the piece and reminds you that it is a special piece of furniture, every time you open the drawer. 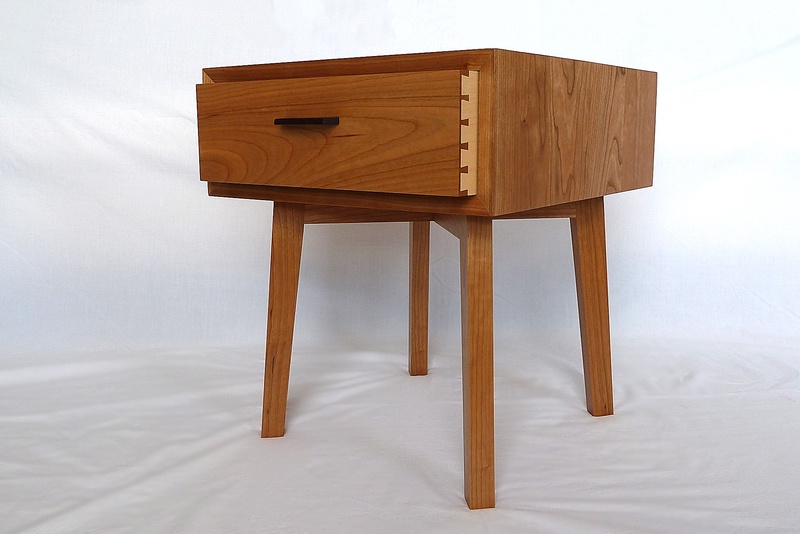 The drawers have bespoke handmade Wenge handles, the dark colouring providing a nice contrast to the lighter cherry. 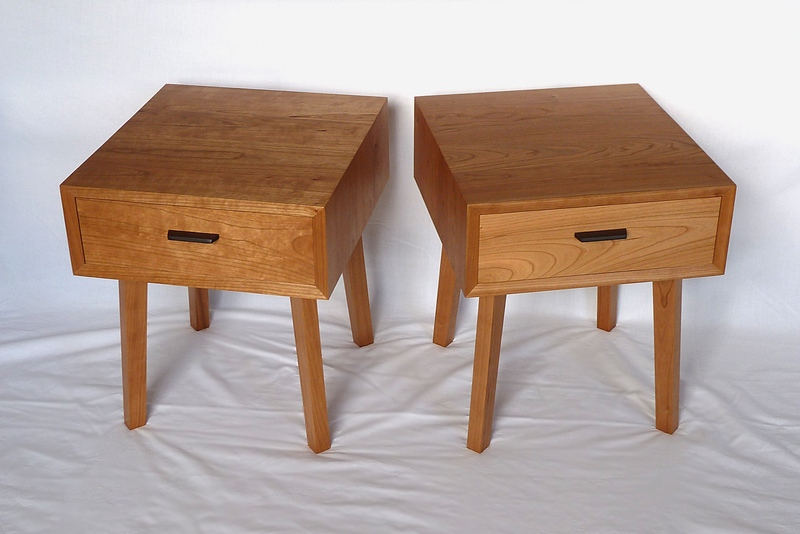 These side tables are finished with several coats of a hand-applied oil/wax product which provides robust protection against the rigours of everyday living. For more information on dimensions and how to have this made to order, please see the Design Gems – Made to Order page.